Best place to buy bindings? I was leaning towards buying a used pair off of NS, but I figured there would be some shops around here (Denver area) that if I bought from them they would mount for free. Any advice? Any good shops you guys would recommend? Print templates off TGR, borrow some tools, and mount them yourself. I personally buy things at the store. Saho3914 Print templates off TGR, borrow some tools, and mount them yourself. 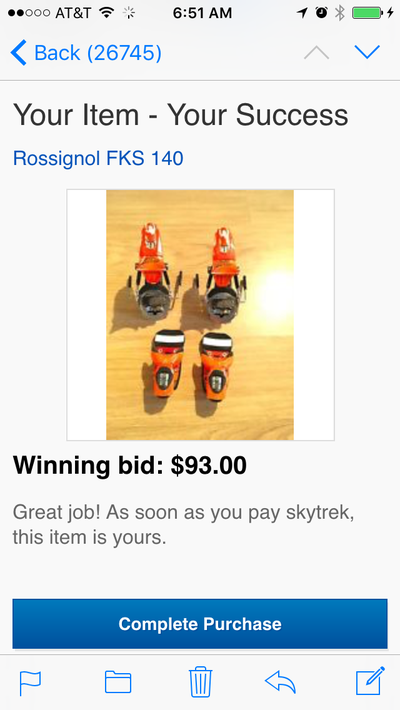 Those are the exact same as pivots, just when LOOK made them for Rossignol. Otherwise you're looking at around $280 for pivots unless your local shop is having a sale.